Did you know March was National Frozen Foods month? March may be over, but you can still celebrate with some amazing frozen foods! Just because it’s frozen does not mean it’s automatically unhealthy, not all frozen foods are created equal! In November, the WoW Summit, I was introduced to a food brand called KidFresh. They had a ton of samples at the conference, and needless to say they were delicious and I was impressed! Kidfresh frozen foods do not have that yucky “frozen” taste! They are also made with no artificial ingredients, hidden veggies and are non-GMO. 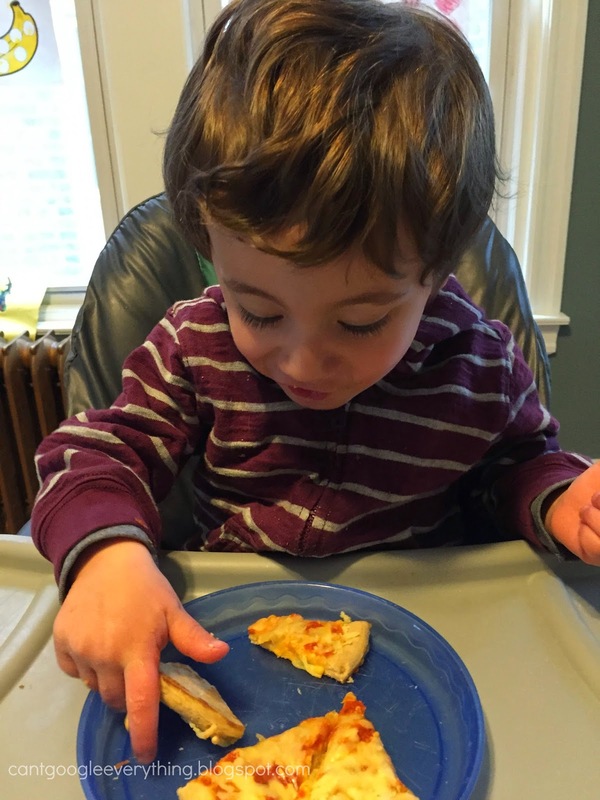 I was excited to share these meals with my son and he loved them, too! One thing I worry about in our diet, and especially when looking at frozen foods, is the sodium. However, these meals have a lot less sodium than I have seen in other frozen food meals. This is great for kids (and me! ), because who needs all that salt? Carter enjoyed the pizza and ate all his chicken nuggets with the babysitter the other night! 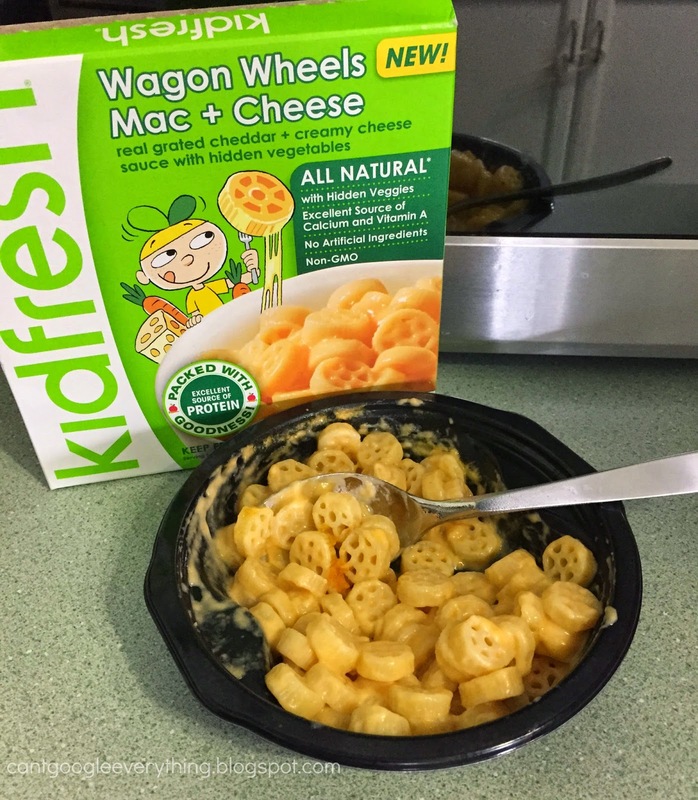 But, I’m pretty sure his favorite is the Wagon Wheels Mac + Cheese! And I have to admit, I love it, too! If you want to try Kidfresh for yourself, check out my giveaway below! They are giving away 10 coupons for free Kidfresh meals to one lucky winner! These are perfect for a quick meals for your kids, babysitter night or a little snack! 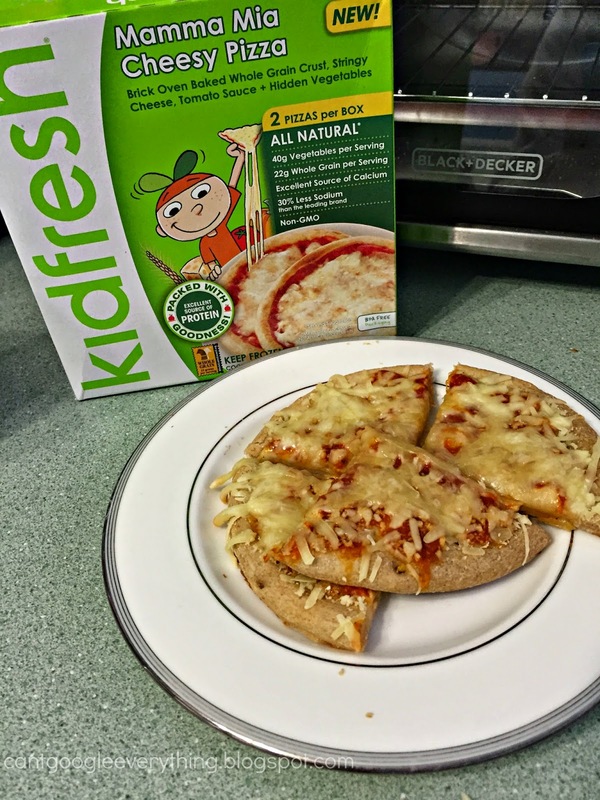 Disclosure: I received free Kidfresh meals to review for this post. All opinions are my own. Thanks for the giveaway! These would be great for Daddy to have on-hand on my bowling nights! I'm pretty sure they eat pizza every Wednesday! My son loved that mac and cheese, I haven't brought it in awhile I will have to remember to pick up some next time!